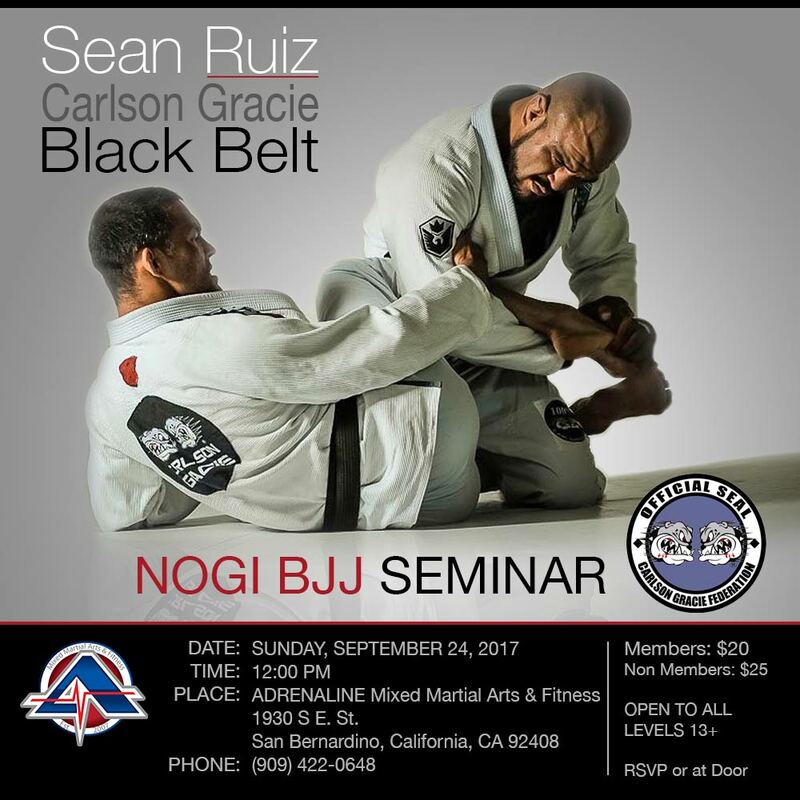 Adrenaline Holds Some Of The Greatest MMA, Boxing, Wrestling, Jiu Jitsu Shows in The Inland Empire. 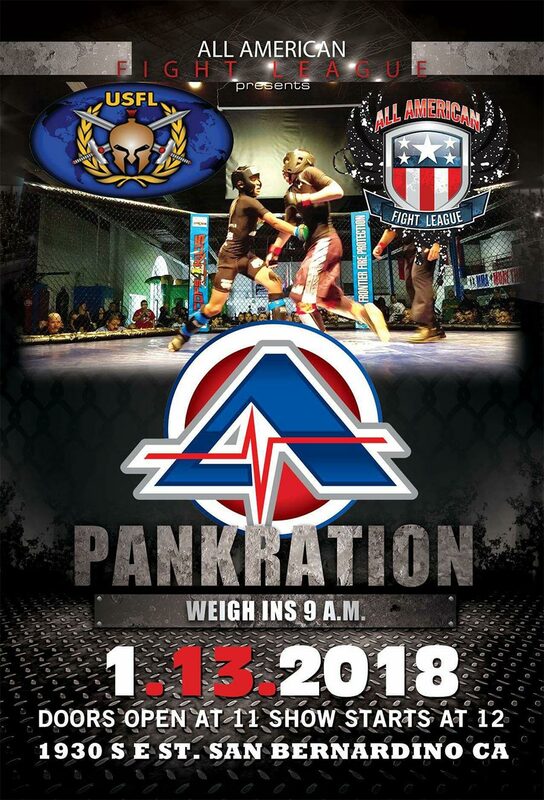 Alright, Let’s Set The Date To All Local Amateur Muay Thai Fighters!.. 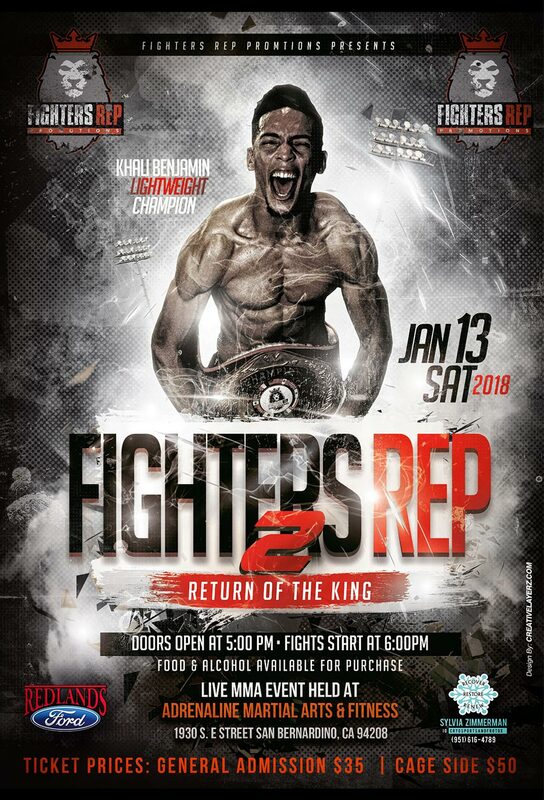 We Are Pre-Booking Fights For Our IKF AMATEUR MUAY THAI SHOW Please Contact William Sriyapai or Paco Romero If You’d Like To Get Matched Up! 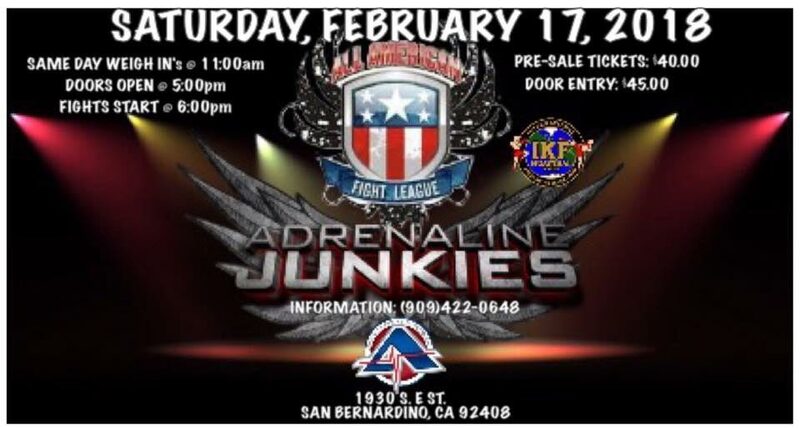 AAFL Presents: ADRENALINE JUNKIES Saturday, February 17, 2018 @ AdrenalineSb Martial Arts In San Bernardino, CA.